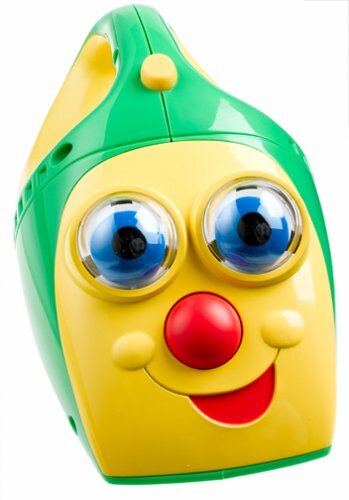 Larry the Talking Vacuum will provide long lasting role-play fun for your child. As your child pretends to help you with the cleaning, Larry will make funny sounds and roll his eyes when he's pushed. If your child presses Larry's nose, he'll also say funny phrases. Measures approximately 7 inches long. Requires 2 "AA" alkaline batteries (included).